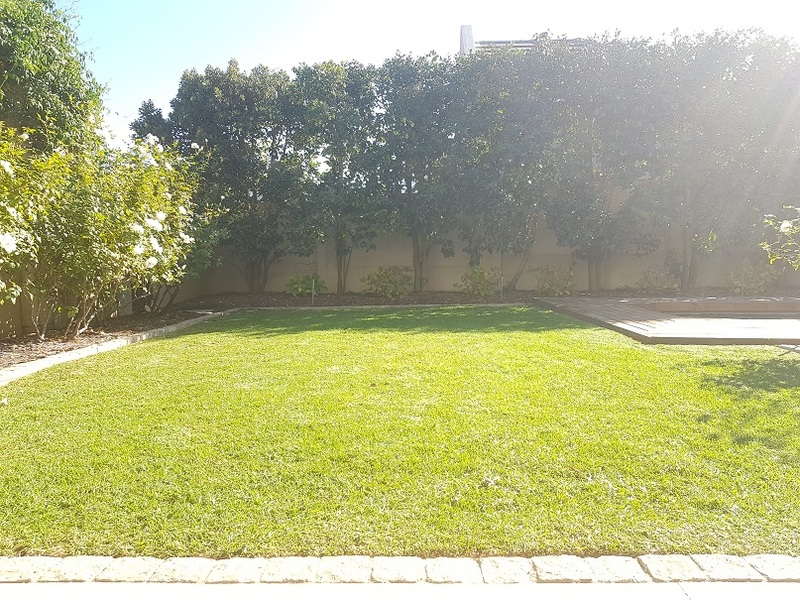 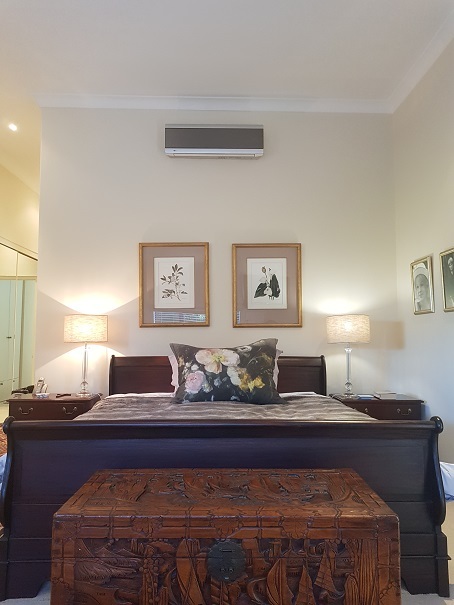 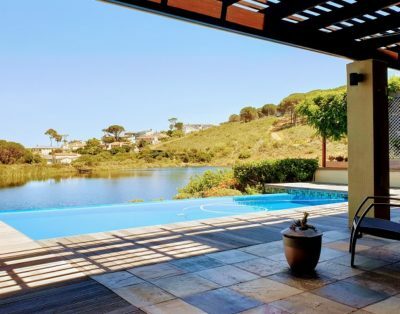 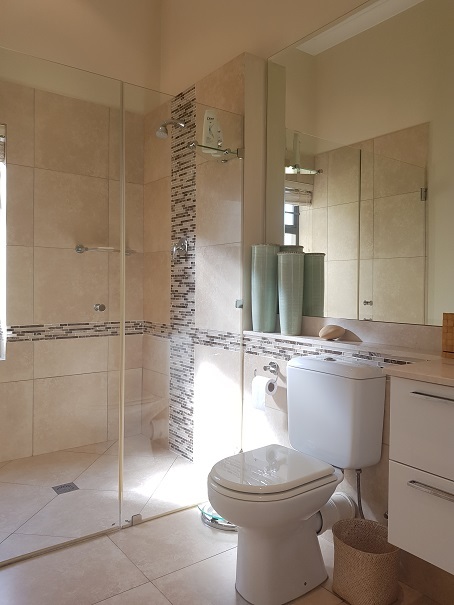 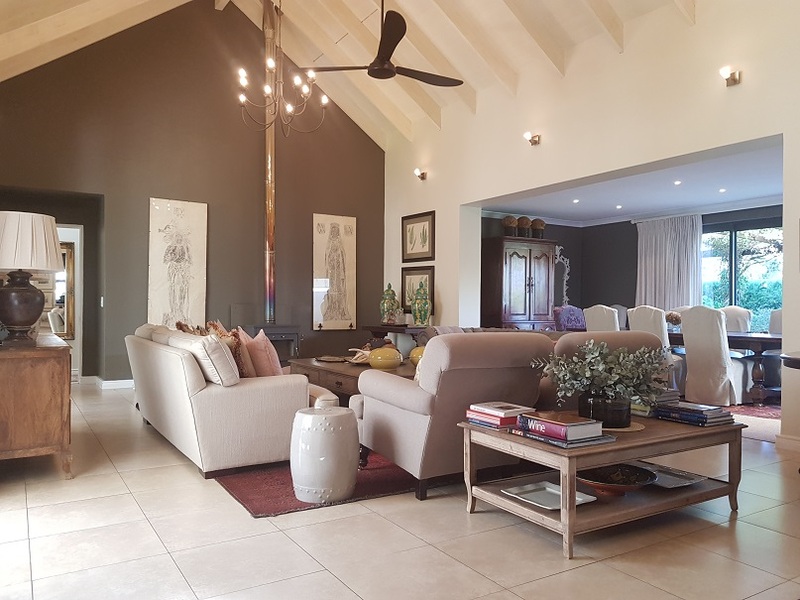 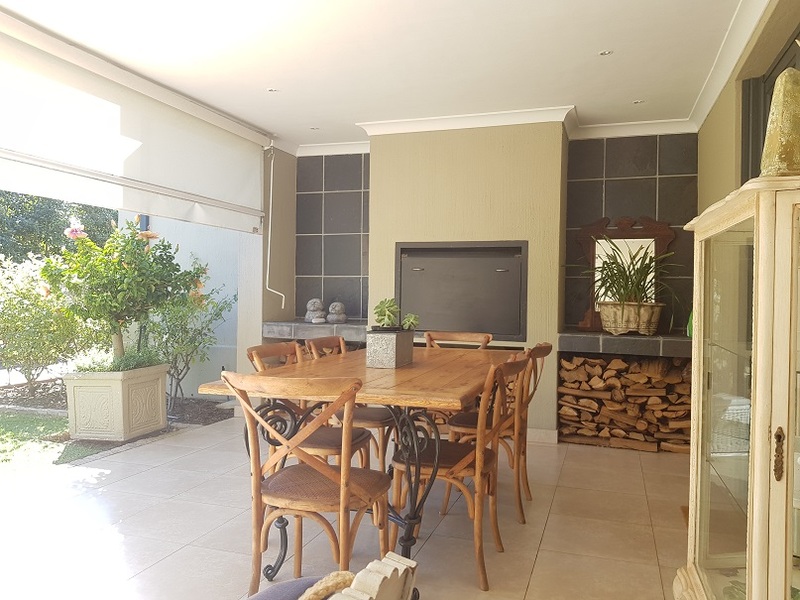 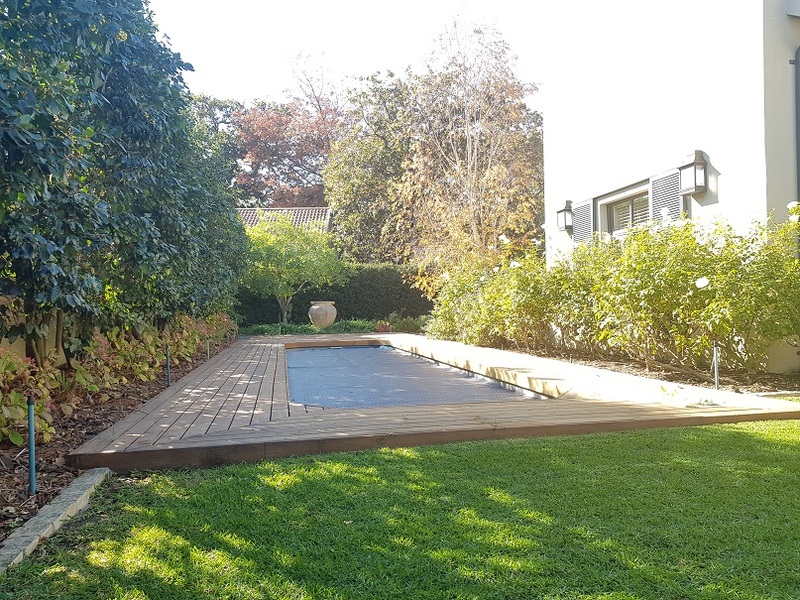 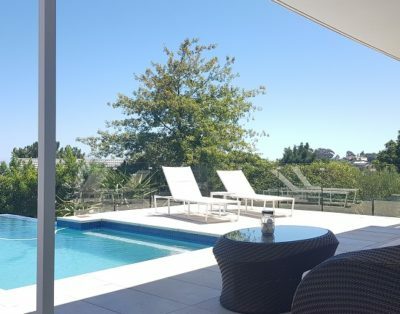 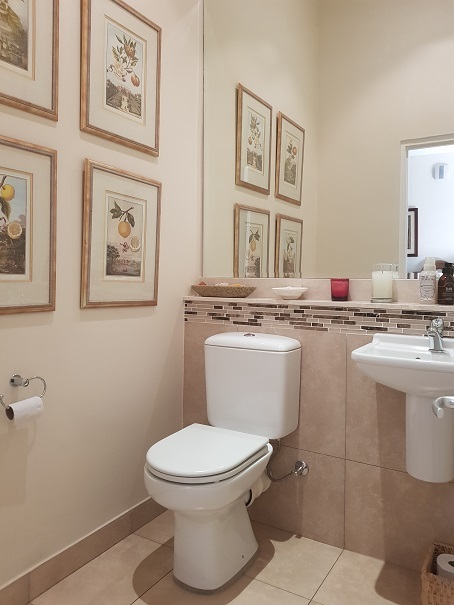 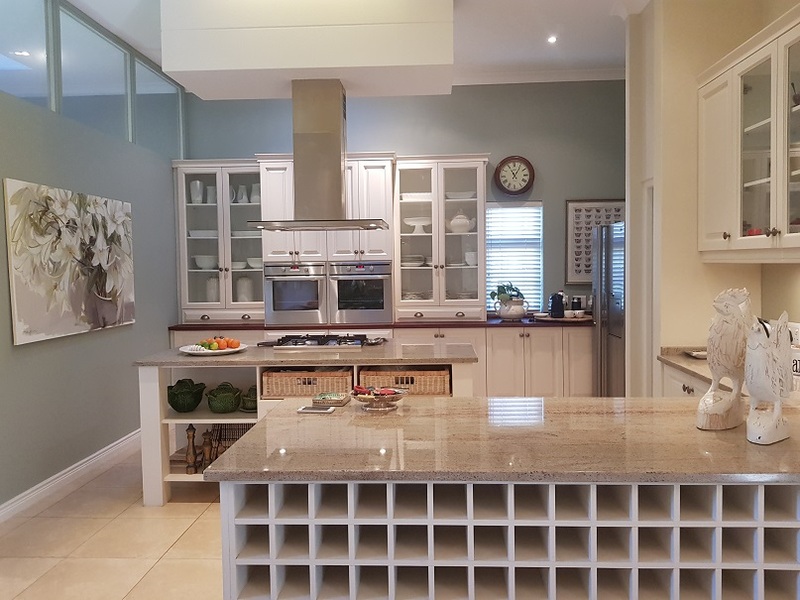 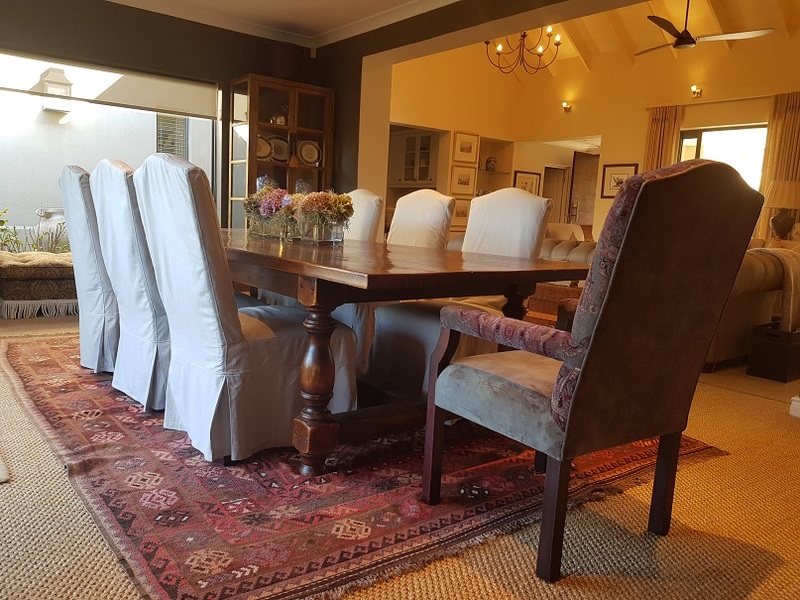 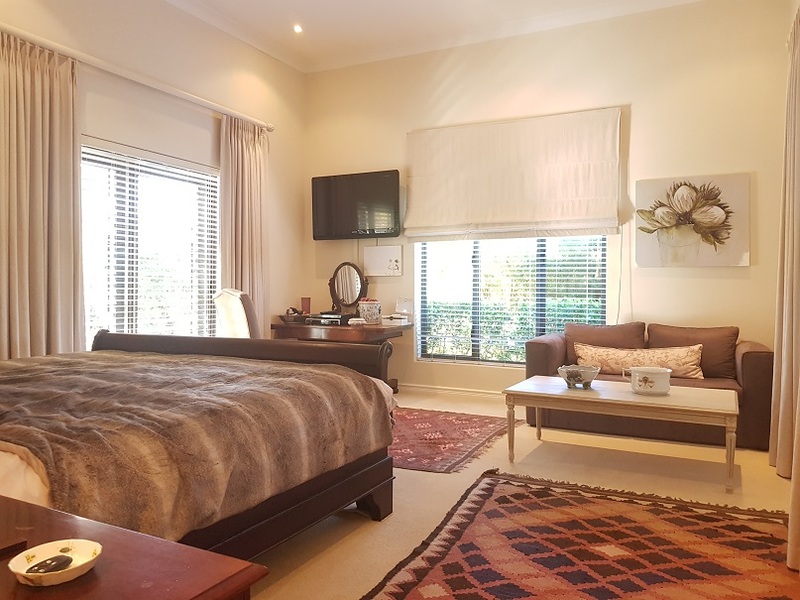 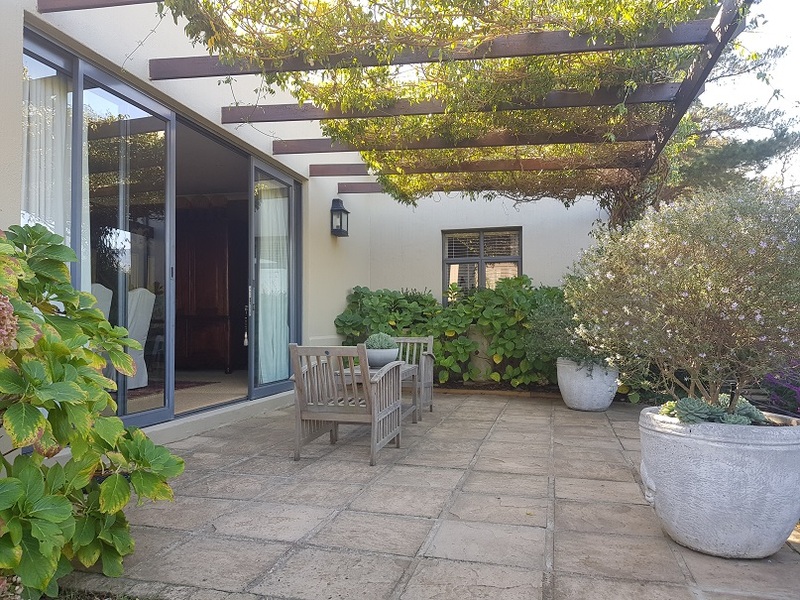 Merely one minute away from the Erinvale Golf Estate, you will find this tastefully furnished gem in a quiet cul de sac in a secure gated estate. 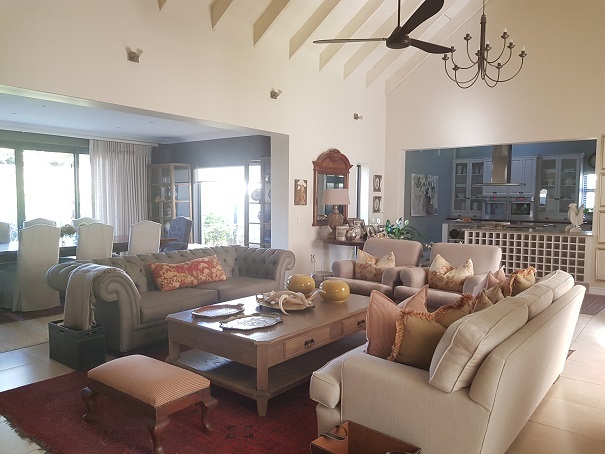 It has a generously spaced open plan set up, as well as high ceilings with exposed trusses and a cozy fire place. 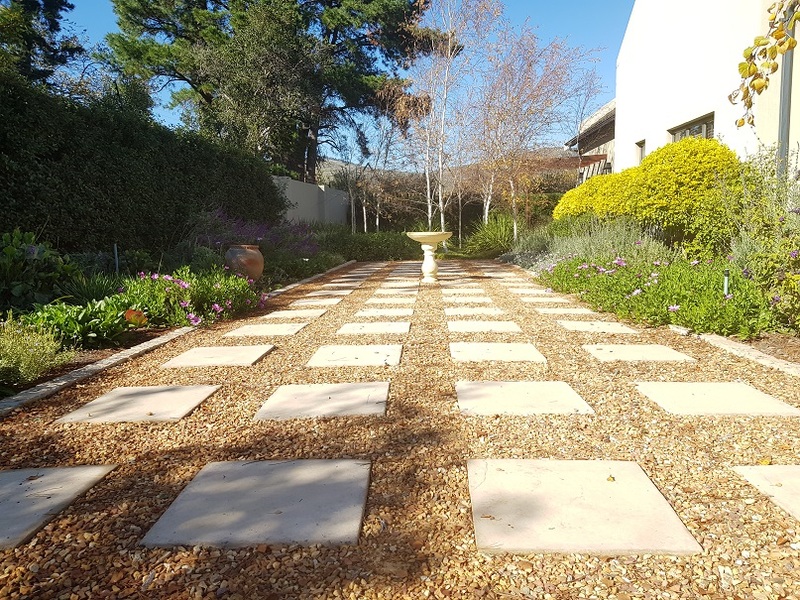 The house has two beautiful patios that invite you to spend time outside. 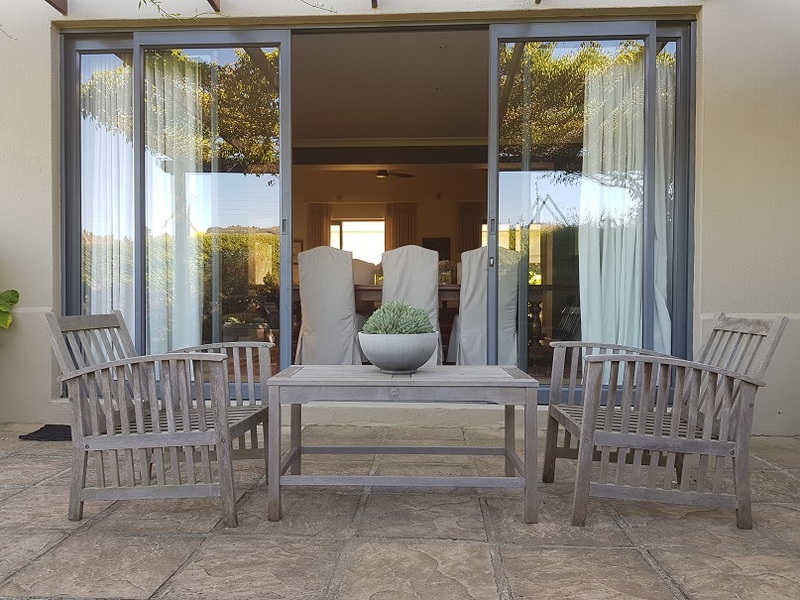 The main patio, leading to the long and private pool deck, is equipped with a built in grill that allows you to start a fire in any weather. 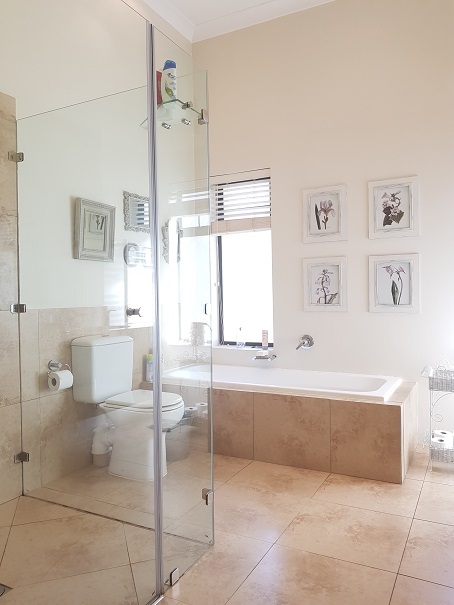 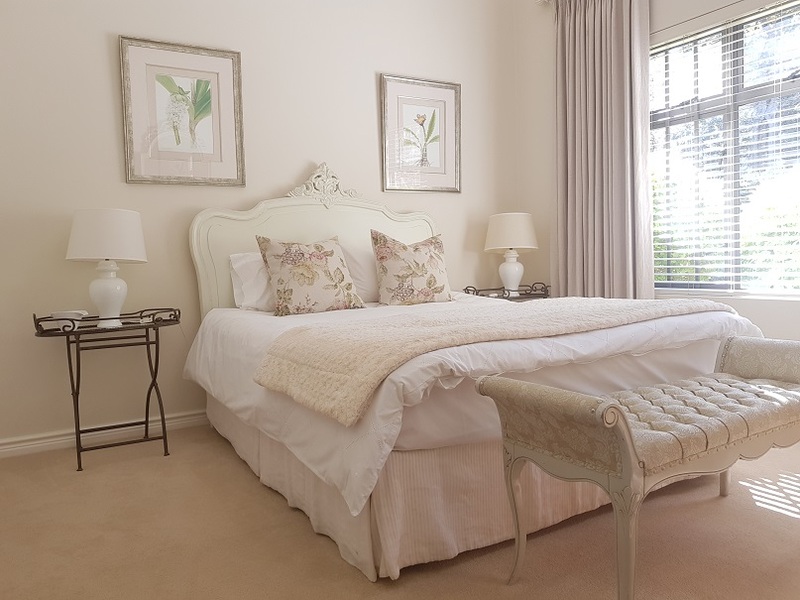 The two bedrooms both have en-suite bathrooms. 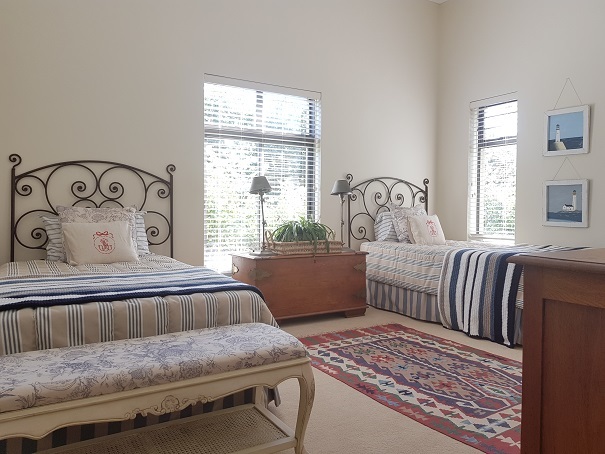 There is a double garage, and WiFi as well as TV and cleaning once a week, are included in the daily rate. 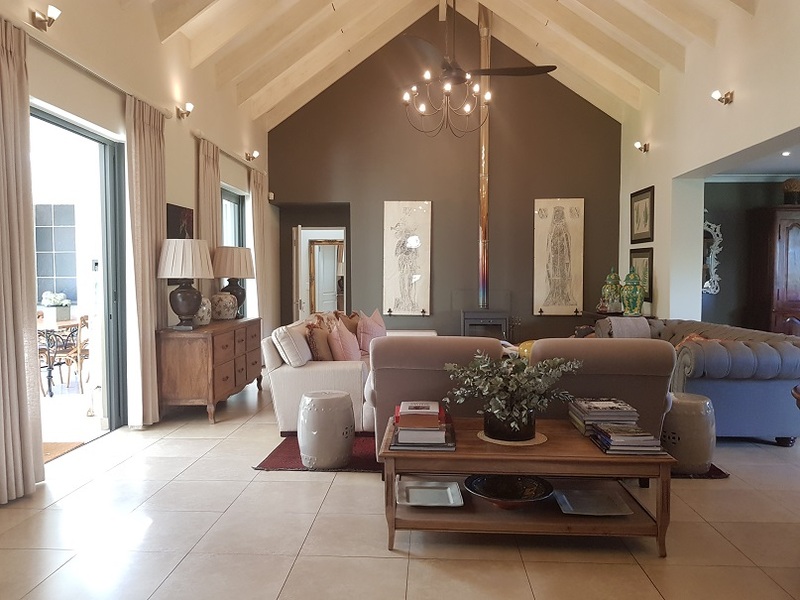 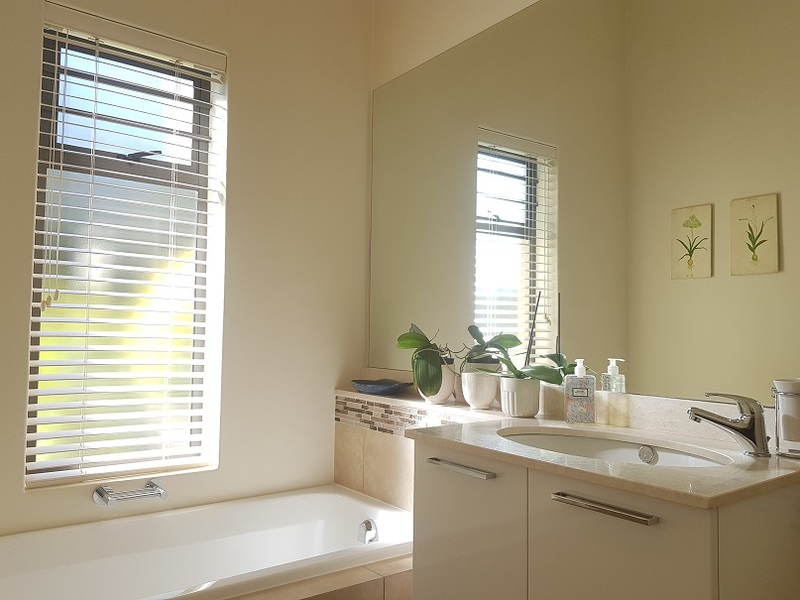 Additionally, the estate has it’s own borehole and therefore offers additional peace of mind during the drier summer months.